"Japanese" hair straightening is a popular method for straightening curly or wavy hair. Many women with curly hair swear by it, and it can create a shiny, sleek style. But it comes with controversy. Sadly, it can wreak havoc on hair if it's done incorrectly, or by an inexperienced or uneducated stylist. For that reason, it's important to understand all the benefits and drawbacks while you consider if it's right for you. Also called thermal reconditioning, Japanese hair straightening was all the rage in early 2000s New York City. For women with curly hair who have long envied silky straight tresses, it seemed like a miracle procedure. You walk into the salon with curly hair, drop $150 to $800 for hours of chemical treatment and flat-ironing, and walk out with super sleek, straight hair that stayed straight until it grows out. The treatment was so popular that it jumped coasts and became a hit on the West Coast and then in big cities across the country. Soon after that, Brazilian straightening hit the coasts. It became the hair straightening treatment of the moment and the popularity of the Japanese method waned. A couple years after keratin treatments became popular, reports emerged about how much formaldehyde (a known carcinogen) is sometimes used in the Brazilian treatments, and their popularity (reasonably) decreased. Since then, Japanese hair straightening has enjoyed a resurgence in popularity, as some people still feel burned by deception from the Brazilian technique. You can get Japanese hair straightening treatments anywhere in the country, but your best bets are in larger cities. In New York City, for example, they're mainly offered in the trendy salons sprinkled throughout downtown, with some in Brooklyn and Queens. Still, the big hitter salons, such as Eva Scrivo, Ted Gibson, Mark Garrison and Charles Worthington no longer offer Japanese treatments, according to an article in NY Magazine. For these places, the damage that it inflicted on women's hair wasn't worth it. Japanese hair straightening relies on a special solution that's applied to hair, similar to a flat perm. This solution breaks down the hair's bonds that gives it shape, allowing it to become pin-straight when the a flat-iron is applied. 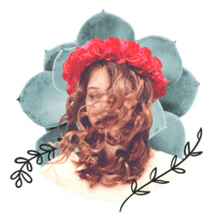 The hair is saturated with the solution, rinsed, dried with a blowdryer, and then flat-ironed with a ceramic iron in small 1/8-inch sections. Also like a perm solution, neutralizer is then applied, which locks the style in place. The entire process is labor and time-intensive. Depending on the length of your hair and its thickness, you can expect to be in the salon for a few hours. Twice as long as Brazilian Keratin straightening, this solution tends to last about six months. While both treatments are referred to as "permanent straightening," it's only permanent in the sense that it's not reversible and you will have to wait for it to grow out. This is one of the downsides—it doesn't necessarily look great when the top of your hair has waves, while your ends are still pin-straight. In that way, it's kind of the opposite of a perm, which many women can deal with given the fact their hair grows after they decide they no longer want the curls. With straightening, you either have to be patient and get creative with your style, get it retreated, or go for a drastic cut. If your hair has been colored or received other chemical treatments, you risk damaging your hair. An experienced stylist should know if your hair is a good candidate for treatment. Be honest and if your hair has been processed in any way, speak up about it. To avoid problems, it is very important that you select a stylist who is experienced in Japanese hair straightening. Ask questions like how many treatments they've done and how many years they've been doing them. The costs for this treatment will vary drastically depending on where you live. In cities where prices are competitive, you will pay less. For example, as of 2017, you could get a treatment done in the Queens borough of New York City for $150—however, the more upscale spots in downtown Manhattan will charge $400 and up. If you have this treatment done by someone who doesn't know what they are doing, though, you can be left with disastrous results. 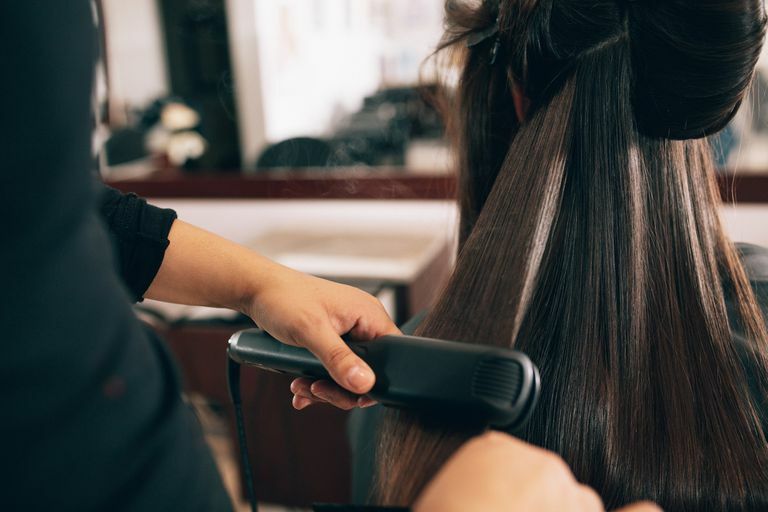 It can fry your hair and some women have experienced significant hair loss; it's no wonder why some salons won't take the risk. You have to be very careful with your new pin-straight hair after treatment. You can't wash it or pull it up into a ponytail for at least three days while it sets. You can also totally forget about getting a perm or anything involving chemicals to restore your hair's natural waves. Any additional chemicals will only add to the damage, so you have to be prepared for the commitment to let it grow out. Hair texture plays a big role in the success of the treatment, particularly for African American women. Depending on your hair, you might be better off with chemical relaxers. Before you schedule an appointment, think long and hard about whether this is a good move for you. It certainly can be a beautiful look, but you need to fully understand the risks involved.